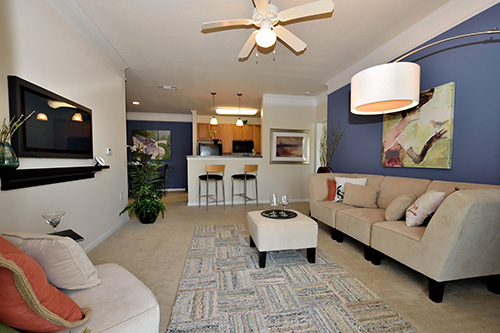 Cross over to incomparable living with your brand new home at Abberly Crossing! Abberly Crossing is an apartment community created for those seeking an incomparable lifestyle with features and a location beyond compare. Located adjacent to Palmetto Commerce Park and across the street from the new Joseph R. Pye Elementary School. Abberly Crossing is in the heart of Charleston’s newest residential, retail and business community. Featuring stylish architecture with an exceptional mix of amenities, distinctive interiors featuring designer touches as well as elevators in the manor building for added convenience. Abberly Crossing apartment homes has set itself apart with unique lay outs and a modern style of living. Cross over to comfort in one of our spacious one, two or three bedroom layouts and relax with a book at the invigorating zero entry pool with large sundeck. All apartment homes include a complimentary washer and dryer for your convenience, screened porches for relaxing evenings, cook friendly kitchens with above range microwaves and 9-foot ceilings. Residents will also have access to our exclusive amenities 24 hours a day which include a cutting edge fitness center with cardio equipment, internet lounge area, game room with pool table and flat screen televisions. Cross over to convenience located off Patriot Boulevard with easy access to Dorchester and Ladson Roads. Minutes from shopping, dining, schools and recreation.